Many Lake Tahoe visitors fall into the common time-wasters and fun-busters. They're stuck in gridlock in South Lake Tahoe, sunburned and miserable, waiting in line at popular restaurants for hours. We're here to help you keep from joining their ranks so you can enjoy your trip without having to learn the tricks first-hand. Use the following tips to help you be a smarter Lake Tahoe tourist, enjoy your trip more, and spend less of your hard-earned money doing it. Get organized, not lost: When planning your Lake Tahoe days, use a map to locate everything you want to see, and then plan your route in advance. Otherwise, you could spend unnecessary time back-tracking around the lake. Screen test: The surface of the lake is about 6,225 feet elevation, and the surrounding mountains are higher. Before you go, take a look at a high elevation checklist. It will help keep you well and comfortable. Drink in moderation: Alcohol's effects are greater at 6,000 feet, and the police are VERY serious about enforcing drunk-driving laws. 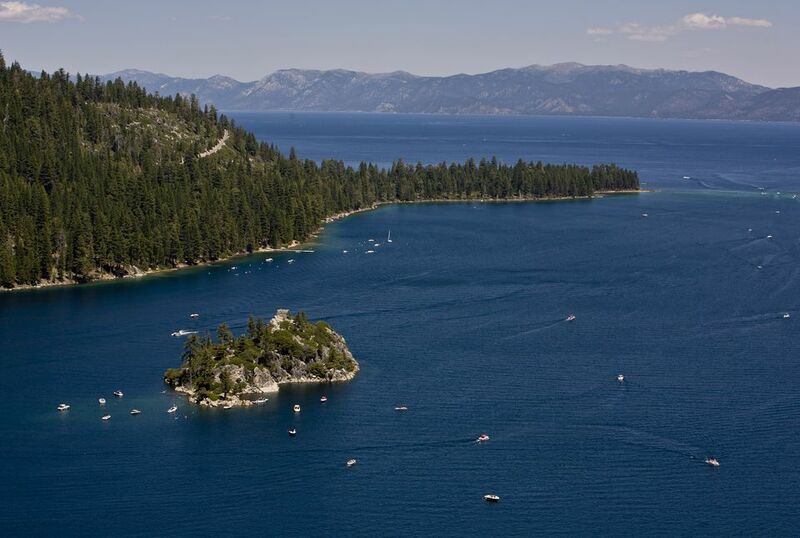 Avoid crowds: Lake Tahoe is even busier in summer than in winter. Go during the week if you can. Prices at hotels plunge on Sunday night and there are vacancies everywhere. Have reservations: You may need dinner reservations on the North Shore on Friday and Saturday nights and even if you wait until the same day to do it, you'll still know when to go and won't have to sit around. Stay warm: Even in summer, nights are cool. If you're going to be out after dark, bring a warm jacket and maybe a pair of long pants to pull on over your shorts. Avoid gridlock: At South Lake Tahoe, relieve traffic congestion and take advantage of the Blue Tahoe Trolley and Emerald Bay Shuttle. Forest fires: They're always a possibility in the summer and they can affect air quality and travel to the mountains. It’s a good idea to check for them before you go to Sequoia. The easiest-to-use resource is the California Statewide Fire Map. Just knowing the location of a fire isn’t enough, though and in my experience, it’s hard to tell what conditions are like in a specific spot. Your best bet may be to go old school: call your hotel or a local tourism-related business and just ask. Know how to get there: Research all the ways you can get to Lake Tahoe by car, train, bus, or airplane.